Timeless elegance and a statement back! 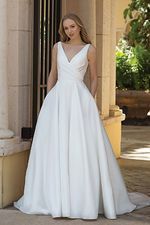 A mikado fit and flare gown with a wide waistband, V neckline and deep V back. 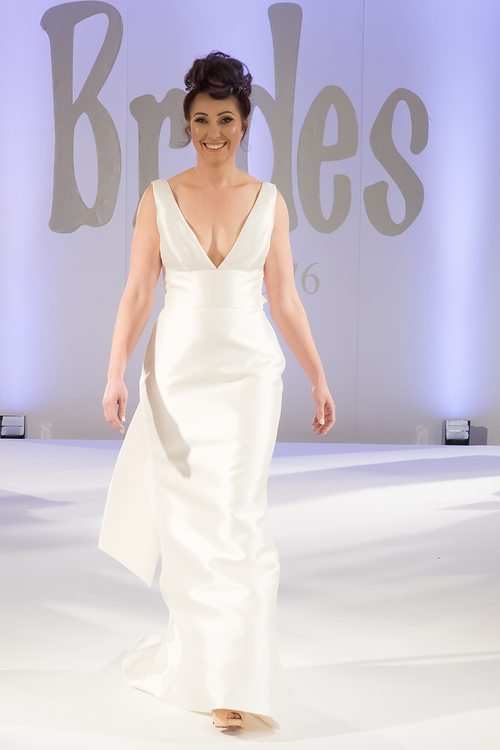 The dress features a detachable train with large bow detail.